Like it or not, cliche as it is, we all judge books by their covers. An effective cover can convey a book’s tone; is it a lyrical meditation, a brash appraisal of contemporary life, a hard-boiled noir, or a fizzy modern romance? Book covers should give readers a sense of what they are in for (unlike these misleading ones). 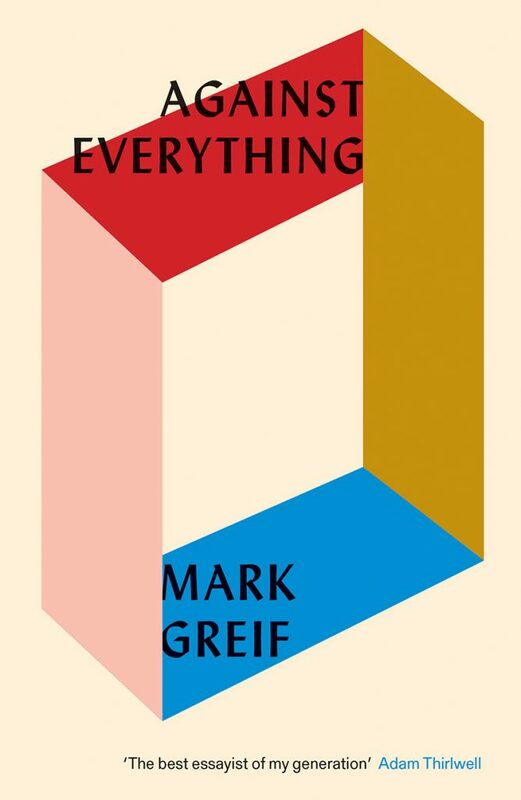 Successful book covers will look modern without looking like a trend that will mark it as out of date by next year. To ensure that your titles look fresh and inviting for 2019 readers, we’ve rounded up some of our favorite trends in book design. This font has been all over the publishing industry, gracing the covers of some of the buzziest books of recent years. Lydian dates back to 1938, giving it a well-earned timeless feel. Lydian has been successfully deployed in the service of essay collections, novels, non-fiction, and more. Hand-lettered covers give books an honest, lived-in feel. It connotes authenticity and vulnerability. It can also clue readers in to the emotional tone of a book while they browse. Sharp and angular scrawls can alert the reader to conflict, complication, and fracturing, as it does for Awaeke Emezi’s Freshwater and Mark Sarvas’sMemento Park. Hand-lettered titles can be intimate and authentic, which is especially important for nonfiction titles like I Can’t Date Jesus. Using the visual iconography of an old encyclopedia or naturalist textbook gives a cover aesthetic gravitas. Covers like The Far Field look more established and timeless rather than trendy. Additionally, using vintage images of nature gestures to readers that the book will be about observation in some way. 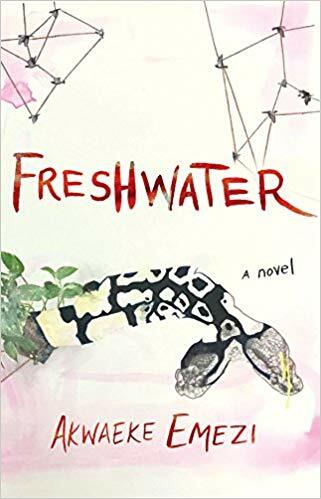 Lauren Groff’s Florida, with its vintage illustration of a panther, demonstrates to the reader that, like a naturalist observing animals, this collection of stories will feature close observation of creatures (human and otherwise) in their natural habitats. To give your titles a contemporary feel, and to hit a demographic of late teens to late-20s readers, consider the ubiquitous, but still popular, millennial pink. Or, for a fresher feel, it’s younger cousin, Gen-Z Yellow. Both are bright and inviting, and look great on a social media scroll. Consider this color palette, especially if your book is about millennial or Gen-Z characters. Better still, combine them both like The Lonesome Bodybuilder. Bonus points if you can take a queue from Soft Skull Press and animate your cover to give it some extra oomph. Tracing back to Where’d You Go Bernadetteand further, covers featuring an illustrated figures against a bright background is a great way to attract attention for your titles and to visually place them in conversation with other breezy contemporary titles that have used the same style. Great examples of this trend include The Proposal, The Matchmaker’s List, and the Crazy Rich Asians series. Be sure to check out some of our favorite covers on NetGalley in our Cover Love series to gain even more inspiration for your cover art! It’s been a year since we launched NetGalley.co.uk – our dedicated UK platform, showcasing all the best in British books – and so it feels like the right time to give an overview of all that’s been happening on the site. We’ve been delighted by the response from readers and publishers alike, and are proud of the new ways we’ve been able to highlight titles to prospective new reviewers. A bigger audience, visiting more than ever! With Netgalley.co.uk, one of the main aims was to find new ways for members to find titles – and to show a distinctly British slant on the site. Now members can see only the books for which they are likely to be approved, and British titles are always front and centre on the site. The introduction of featured titles and category spotlights has been hugely successful, boosting impressions, discoverability and requests for all titles included. Results have been amazing, with an increase in requests for featured titles on the previous two week period varying anywhere from 150% up to 8800%! Our dedicated eblasts are sent to all UK members opted into marketing communications, and have become the most popular way of marketing to members. It’s the digital equivalent of a Super-Proof, showing members just how excited you are about a particular title. We still only ever send one eblast a day to our members, which means that we’ve been fully booked for almost every day – week and weekend – for the whole of 2018. As many of you know, spots are now at a huge premium, so in order to get the date you want, don’t forget to book well in advance. Booking forms for 2019 are here. 2018 has been a brilliant year for NetGalley UK, and we’re very much looking forward to the New Year, and helping publishers really boost the performance of their titles! 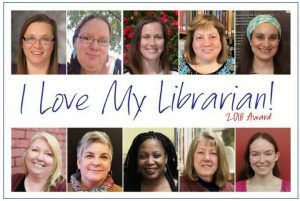 For ten years, the ALA initiative I Love My Librarian has been recognizing the best librarians in the country. Communities nominate the librarians who are best supporting their patrons, providing creative programming, increasing intellectual curiosity, and bringing resources to those who need them. Because we also love librarians, NetGalley attended the award ceremony for the ten winners of the 2018 I Love My Librarian Award at the Carnegie Corporation of New York on Dec. 4. Winners thanked their colleagues for their support and their patron communities for letting them do what they love for a living. They affirmed libraries as places for patrons to explore their own identities and for marginalized groups to find acceptance and support. One of the patrons who nominated Lindsey Tomsu, a teen and YA librarian from the Algonquin Area Public Library District, described the work she does to create an inclusive atmosphere. “She creates a haven for…teens questioning their identities and orientations, diverse teens, rich and poor alike…” Stephanie H. Hartwell-Mandella, head of Youth Services at the Katonah Village Library thanked the librarians who didn’t bat an eye when she was a curious adolescent who started checking out romance novels. Paula Kelly, library director at Whitehall Public Library, is committed to keeping her diverse community’s needs at the forefront of her programming. She sends a bus every month to pick up patrons (mostly elderly members of immigrant families) to transport them to and from the library. Her library also partners with its Bhutanese community to preserve their shared history and stories, and to share those stories with other Pittsburgh residents. Learn more about all of the 2018 winners here. 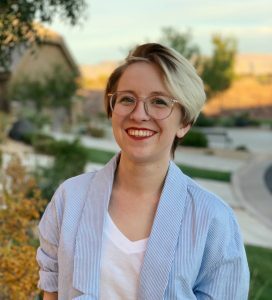 Librarians are an important part of the NetGalley community, so we are always curious to learn more about what makes their communities and their libraries unique. And we know that this information is valuable to publishers, as well! Check out our Ask a Librarian series to read more. Congratulations to the 2018 I Love My Librarian Award winners from all of us at NetGalley! NetGalley operates all over the world, serving the needs of global publishers. With dedicated NetGalley sites for Germany, France, and Japan, as well as the U.K., we are proud to support many different publishing ecosystems, all with their own unique characteristics. Today, we’re hearing from Karina Elm, who heads up customer relations and community management for NetGalley Germany. Below, she gives an overview of the German publishing landscape and book market. Germany, well known to some for its great poets and thinkers (to others for its sausages, beer, football and the Autobahn), owns the largest book market in Europe. Struggling – just like in many other countries – with the rise of strong competitors called Netflix, Facebook, Instagram and others, the book is not yet forgotten. On the contrary: Even though the number of people buying books has decreased, individual people actually read more and the amount of titles published per year is still rising. 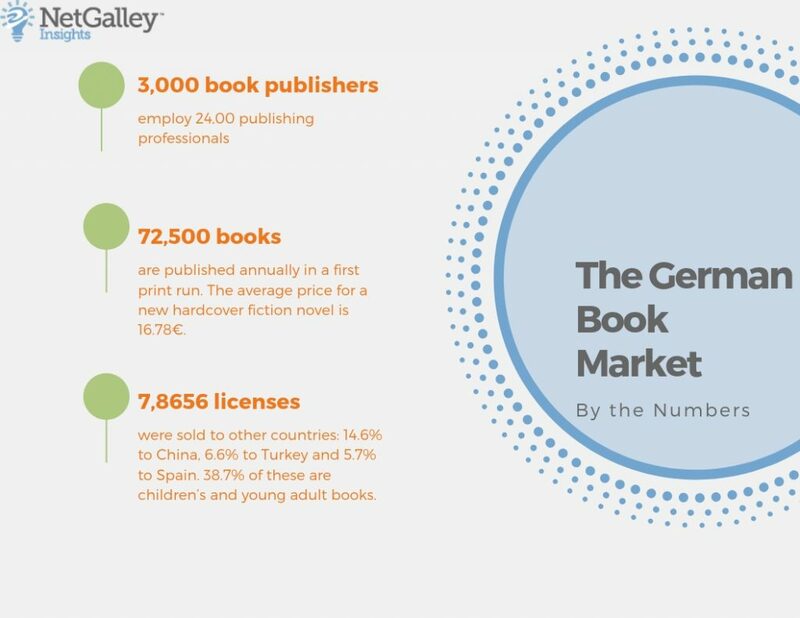 Let’s have a closer look at some facts and figures from the year 2017 as well as some specialties of the German book market! Source: Source: MVB-online.com, “Buch und Buchhandel in Zahlen.” 2017. 6,000 bookstores are selling books to readers, employing a total of 27,800 booksellers. 3,500 are small independent bookshops and 1,200 are part of bookstore chains. Berlin has the most bookstores in German – 236 stores for its 3.5 million inhabitants. Many bookstores meet the challenge to compete with online sales platforms by selling coffee, hosting events (like public readings) and turning their shops into cultural meeting points. Since 2015, the Ger man Ministry of Culture honors the most innovative bookshops with the German Bookshop Award. 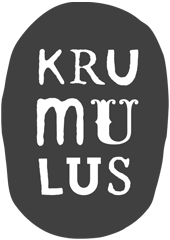 2018’s three best bookshops are Krumulus, Lessing und Kompanie, and Bittner-Buch. Germany has fixed book prices. This means that publishers set a price for each book which is then mandatory for retailers. Only a limited number of discounts are allowed. Publishers can change the price, and the price for a different edition may vary. The tradition of fixed book prices goes back to the 19th century, the current law was introduced in 2002. Fixed prices are widely seen as a strong advantage of the German book market since they have benefits for both the industry as well as from a cultural perspective. Booksellers of all sizes profit from a calculable margin on bestsellers, retailers compete not just with their prices but also with their service. It is beneficial for brick & mortar booksellers in the often destructive competition with online retailers and vendors outside the book industry. For publishers it means that they can cross-subsidise bestselling books with other works, allowing publishing decisions to be made on other aspects than just the selling potential sometimes. This helps support the work of lesser-known authors, as well as titles with complicated or expensive layouts. For readers, the fixed price system results in a large variety of books as well as publishing houses with different profiles. It also allows for a very efficient distribution system: If you order any book at your favorite bookstore you’d most likely be able to pick it up the next day. Last but not least, a strong network of bookshops offering a diverse and colorful range of books is an important part of a diverse and colorful society! Source: MVB-online.com, “Buch und Buchhandel in Zahlen.” 2017. Just like in many countries, book bloggers are on the rise in Germany. By 2018, thousands of blogs about books, reviews and other bookish topics can be found online – the actual number is difficult to establish. The blogosphere is very active, well connected and spanning all genres and formats. 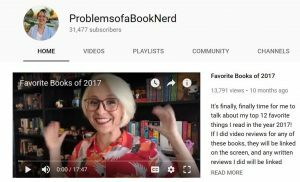 Booktubers and Bookstagrammers are on a strong rise, too. By now, many publishers are working closely with individual bloggers, some even launched unique platforms for bloggers to read and review their titles. In 2017, the first German Book Blog Award was initiated by NetGalley Germany in cooperation with the German Publishers & Booksellers Association and rewarded the best German-language literary blogger as well as one booktuber. In 2018, the prize was given out in 9 categories, among them Romance, Literary Fiction, Suspense, Children’s Literature, Newcomers and Other Formats. The Tolino is Germany’s own reading device for ebooks, competing with Amazon’s Kindle – and rising above it with a market share of 40% in 2017. Tolino is a strategic alliance between biggest German retailers to offer and produce e-readers and tablets. In January 2017, the Japanese Rakuten Kobo took over the shares of their former technical partner Deutsche Telekom. 2,000 bookstores sell books through the Tolino system and many independent booksellers are connected to it as well. Contrary to the Kindle, Tolino is an open system which means ebooks can be bought at any participating shop and read on any other device as well. 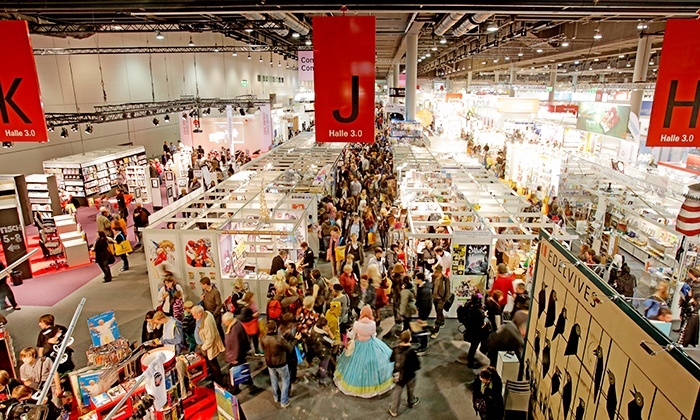 Two book fairs are the German publishing industry’s yearly highlights and every book lover counts the days between them. The big one, Frankfurt Book Fair, is actually the world’s largest trade fair for books and has a long tradition, rooting back to 1454. Every year in mid-October, publishers, agents, tech companies, and content providers meet for business, trading, and international rights deals. Over the weekend, the fair opens for the public. More than 7,300 exhibitors from over 100 countries and more than 286,000 visitors took part in 2017. In comparison to this, Leipzig Bookfair and it’s 208,000 visitors in 2017 is like a younger sister. It’s history goes back to the 17th century and it is a fair for the public: Visitors can attend all 4 days in order to discover new books and meet their favorite authors. 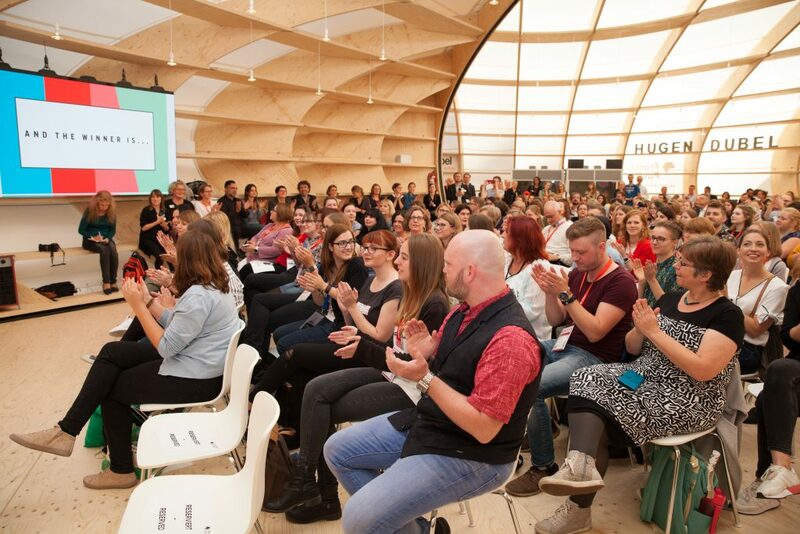 There are hundreds of public readings at the fair but also throughout the whole city of Leipzig which transforms into a huge festival of reading during this time in March. Germany has numerous literary awards for books and authors. The most famous of them is probably the German Book Prize which can be compared to the Man Booker Prize. Launched in 2005, it honors the best novel written in German in each publishing year and is awarded at the Frankfurt Book Fair in October. Most of its winners have already been translated into English, you can find a list here. The most prestigious literary award in Germany is the Georg Büchner Prize which honors an author’s lifetime of work and was, for example, given to later Nobel Prize winners Günter Grass, Heinrich Böll, Elias Canetti and Elfriede Jelinek. A very atypical literary award is the Ingeborg Bachmann Prize. It honors an author for an unpublished literary excerpt only and is very publicly awarded during the Festival of German-Language Literature where the texts are read out loud and the jury comments directly, often very critical, while the audience watches in the room as well as in front of the TV across the whole county. The German Publishers and Booksellers Association (Börsenverein des Deutschen Buchhandels), founded in Leipzig in 1825, represents all sectors of the book industry: Publishers, Retail Booksellers, Antiquarians and Wholesalers. They also organize – among other things – the Frankfurt Book Fair and the German Book Prize, and they are custodian of the fixed price system. 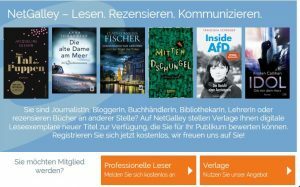 NetGalley.de was launched in March 2016 (just in time for the Leipzig Book Fair!) and by now has more than 11,500 members, The first ones to adopt the platform were of course book bloggers who had already used NetGalley.com and were very excited to finally also find German publishers and titles available for them. how painful this can be) but it was worth it: We now receive excited and very happy feedback from both publishers who followed this example, as well as from booksellers, telling us how much easier their daily work has become. 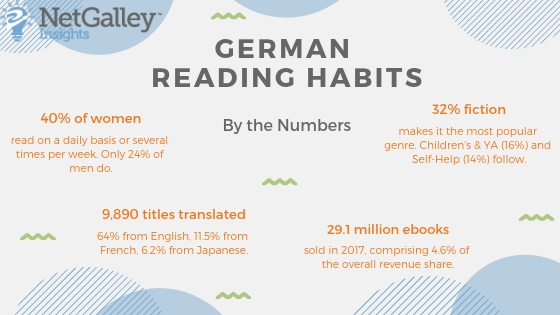 The growing implementation of NetGalley in publishers’ work with booksellers has resulted in the following division of member types, very special for the German market: As of October 2018, 47% of the German speaking members are reviewers, 43% booksellers, 5% media and 5% librarians and educators. Their favorite genres are Fiction (45%), Teens and YA (40%), Thrillers & Crime (37%), Fantasy & Sci-Fi (35%) and Romance (25%). 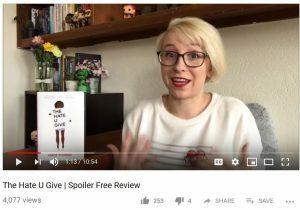 During an average month in 2018, more than 26,000 galleys were sent out through NetGalley.de, and members provided over 5,000 pieces of Feedback. Do you publish in German? Use NetGalley.de to reach out to our avid community of professional readers, promoting your tiles to German readers! I would be very happy to hear from you via karina.elm@netgalley.com. Karina Elm is Customer Relations and Community Manager at NetGalley Germany – and a huge bookaholic. After studying Comparative Literature, she worked for Ullstein Publishers as part of the team around digital imprints Midnight and Forever, and as the online marketing manager at Clear Canvas, an online marketing agency in Berlin. Karina Elm is initiator and driving force behind the German Book Blog Award which launched in 2017 and has been teaching a class at the Free University of Berlin about online reading communities in 2018. 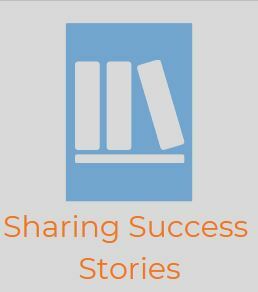 On NetGalley Insights, we highlight the successes of NetGalley publishers and authors, and share some of their strategies. Today, we’re talking with Heather Lennon, managing director at NorthSouth Books. 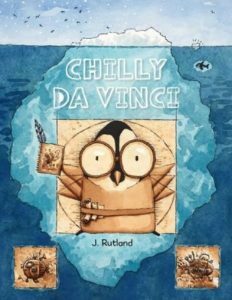 Below, learn about how she used NetGalley to gather over 100 pre-publication reviews for Chilly da Vinci by Jarrett Rutland. 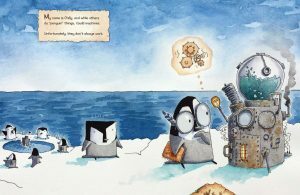 Chilly da Vinci tells the story about a young penguin inventor, tapping into current trends in STEM education for young readers, as well as the maker movement, all with a modern and appealing visual style. The market for children’s books is especially hot right now. What do you think is unique about this particular segment of the publishing industry, as it relates to marketing and publicity? Picture book publishing is very interesting in that it’s a visual medium, art and story together. We highlight the illustrations and the story in every book. Right now, I think that is a huge positive as far as coverage in blogs, Instagram, online and in print review journals. For Chilly Da Vinci, Jarrett Rutland’s artwork is so fun and striking–it just pops off the page, so I think it’s very appealing to reviewers. Where does NetGalley fit into the overall strategy and timeline for Chilly da Vinci? NetGalley is very important to NorthSouth Books! We always offer our lead titles on NetGalley. We aim to offer them 3-6 months in advance of publication. It’s really helped us reach readers, grow our brand recognition, and amass reviews online. Which segments of the NetGalley community were most important to you? How did you go about reaching them? Asking who is most important is like asking my mom to name her favorite child! We love them all. I will say….librarians have been a big part of our publishing program forever. Booksellers are enormously important in the life of a book–we are small enough that we never take a book being in-store for granted. Bloggers, tweeters, instagrammers help us get out the word! This is our world, and we’re lucky to be a part of it. Chilly da Vinci is a Read Now title. Tell us why that was the right decision for making the title available widely to NetGalley members. 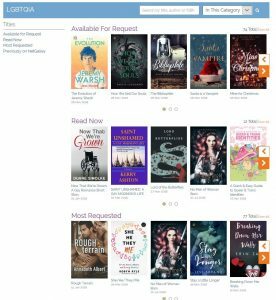 I don’t set a lot of hoops to jump through to get to our titles on Netgalley. I am thrilled that NetGalley members want to open the book. I truly believe, if you read our books, you will enjoy them, you will recommend them and review them. So Read Now is always my preference. Most NetGalley members who clicked to read Chilly da Vinci listed the cover and the description as the reason for their interest. It comes as no surprise, gi ven that the author is also the illustrator! Tell us about how you created compelling copy for the Title Details page. It was important to everyone at NorthSouth that we convey that Chilly is a do-er, that this book would appeal to the maker movement. And that Chilly never gives up. And then in general, I think one of the most important things is clean, readable copy, especially online. It’s so basic, but it’s important to make sure that your info has uploaded correctly–not doubled or tripled or cut off in some weird way! Tell us more about strategies you used to leverage your NetGalley listing outside the site. Every book has a tip sheet that is fed out online. The sales reps use it to sell the book, and it gets uploaded to Edelweiss–which lots of bookstore buyers use for their job. Whenever we upload one of our books on to NetGalley that is a sales bullet that’s fed out to the world. How will NetGalley be incorporated into your post-pub strategy? We will be following up with everyone who reviewed Chilly with a pre-on-sale newsletter with activities and info about Jarrett Rutland’s events. The book launch will be held at an ice cream shop in Asheville on Saturday, Dec. 8. We hope that NetGalley members who loved the book will attend. What is your top tip for publishers to use NetGalley to its full potential? *NetGalley recommends using the Detailed Activity Report or the Feedback Report to see which NetGalley members are requesting, reading, and reviewing your titles. 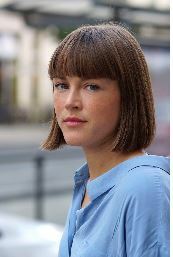 Heather Lennon is the managing director of NorthSouth Books. Chilly da Vinci goes on sale Dec. 4. You can preorder it here. On November 15, we braved snow flurries in Chicago to attend BISG’s day conference: Book Publishing, from Concept to Consumer. The Book Industry Study Group (BISG) works to create a more informed, empowered and efficient book industry. Their membership includes trade, education, professional and scholarly publishers, as well as distributors, wholesalers, retailers, manufacturers, service providers and libraries. Throughout the day, seven different presenters described their jobs – their workflow, the challenges they face, and where their work fits into a book’s lifecycle. Most of us only see books during a relatively small part of their lives. The details and strategy that consume our workdays are only a fraction of the work that goes in to bringing a book to the public. Acquisition editors see books when they are just manuscripts and ideas. Printers shepard books into the physical world and then pass them along. Library marketers are thinking about how books will live in communities years after their pub date, when the pages are soft and earmarked. This overview of what our colleagues are doing across the industry was a welcome reminder that we all depend on each other’s work to bring the best books to the readers who will love them. Contrary to popular conception, Todd Stocke described his role as SVP and Editorial Director at Sourcebooks as less about his own inimitable tastes and more about analyzing data and looking for spaces in the market to tell new stories. For him to be successful at his job, he needs to be able to think outside of his personal preferences and the demographic details that have given rise to his interests and tastes. He has to have an idea of what people of different backgrounds are interested in, and to have access to the writers telling those stories. He described the necessity of having a pipeline that is both broad and deep. A broad pipeline means getting manuscripts from a variety of sources and a deep pipeline means developing relationships with the people providing those manuscripts so that, for example, an agent will know immediately if the manuscript in their hand is the perfect book for the Sourcebooks nonfiction editor. This was the overarching theme of the day. It was not a shock to hear audience as the focus for acquisitions, bookstores, or libraries. These are the parts of the industry that we know need to be responsive to what readers are looking for. But we were surprised to hear how much audience fits into how other players in the industry do their jobs. As Judine O’Shea described the design process for a book, she made the point that a big driver for her is audience-appropriateness. If she’s designing the title and page layout for a children’s book, how many colors will be too busy for young eyes? Will the font be easily legible for early readers? Michael Shea from LSC Communications pointed out that audience use determines the physical form of a book, too. Different binding styles are better for the different ways books live in our lives. For example, an art book that is meant to lay flat on a coffee table will be bound differently than a trade paperback meant to be read on the subway. The glue used on a technical textbook that will be out of date in a few years will be different from the glue used on a book that might be passed down from generation to generation. 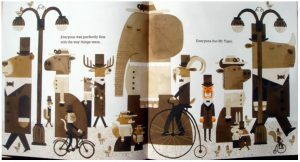 Mr. Tiger Goes Wild by Peter Brown illustrates Judine O’Shea’s audience-centric design principles – Plenty of visual interest for many rereads with simple font for early readers. Suzy Takacs chalked up some of her success at the Book Cellar to her close relationships with local players of the book industry. She described her warm relationships with other booksellers, and how she has called upon stores like Women & Children First to help her stock titles in advance of events. She even described visiting IPG’s warehouse for a last-minute pickup. 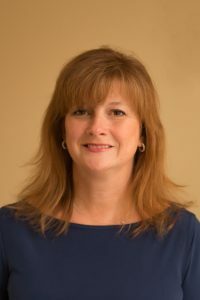 She is able to quickly respond to inventory needs and meet consumer demand because she has positive relationships with other booksellers and with distributors. Stephen Sposato of the Chicago Public Library expressed a desire to work more closely with booksellers. He suggested sharing data about which titles have long hold lists, so that bookstores will know what readers are asking for and can make sure to adjust their inventory to align with demand. For more cross-industry knowledge and events, follow BISG on their website, where you can see all upcoming events. And, stay up to date with industry news by subscribing to the NetGalley Insights newsletter.